Vermont Transco is the limited liability corporation that owns Vermont's high-voltage electric transmission system. 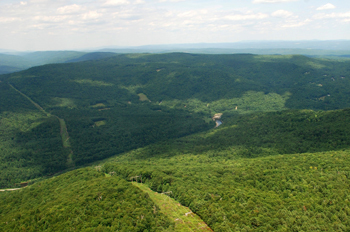 VT Transco provides service to the utilities that directly serve Vermont homes and businesses, as well as a small area of New Hampshire, and interconnects with New England’s regional grid. VELCO manages the Vermont Transco LLC system, and in that capacity, operates and maintains Vermont's electric transmission system, as it has for more than 55 years.